In 1992, Valiant Comics had a deal where if you send them a picture of yourself doing something unique to promote them (say, the ostentatious display of their logo) you would get a gold edition of one of their comics. 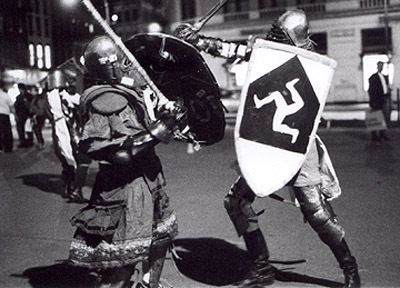 This picture, somehow, didn't make the cut. The damsel is Rose Darkthorne, a friend of mine who got married and moved to Switzerland. 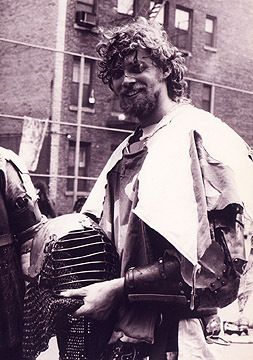 At the East Village Renaissance Fair, '93. I refer to this as my "sea monster" picture. 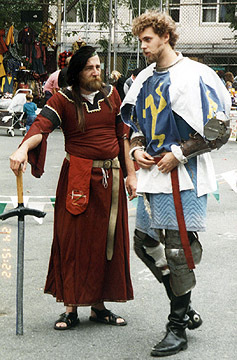 At the Greenwich Village Medieval Festival in fall '93, with His Etceteracy, Sir Edward, and fighting Lord John the Bear with two swords. 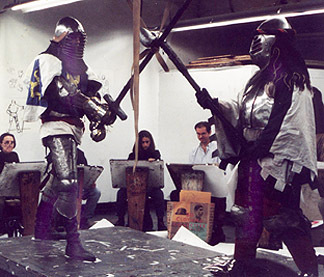 Note the brand new moving-pad gambezon. 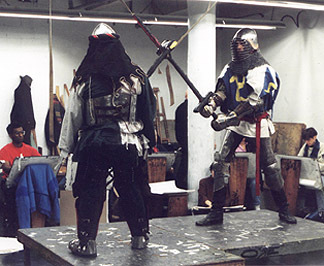 Defeating Lord Voltaire at the end of a battle at Agincourt '94, Huntington. 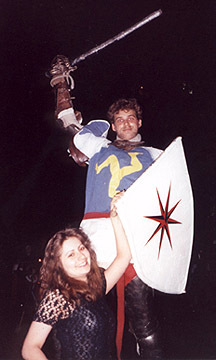 Posing and fighting at the Huntington Renaissance Faire in '95. 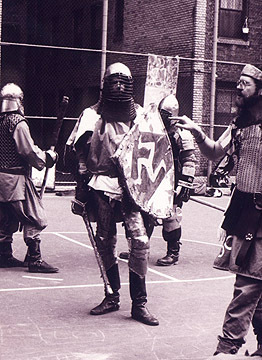 Practicing with Ajax Thermopokles at Union Square, '95. 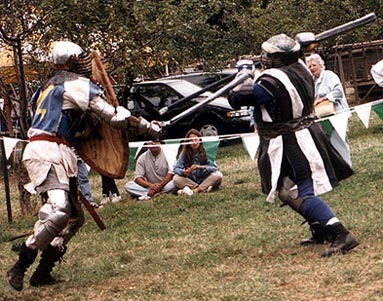 Striking Sir Diablu in the arm at the Queens County Farm Museum County Fair demo in '95. 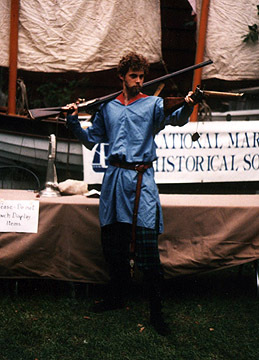 Back in 1991, I was involved in the making and distribution of Duckball Home Video's dosumentary of the 20th Pennsic War. I re-mastered this video, editing together an extra 47 minutes, production notes, and a "where are they now" feature. This new video is now available. Go to the Watch This Space Catalog for more information.